Sens has only two hotels and all the rooms were booked. The office booked a room for me at a hotel in Fontainebleau. The bad news is it's an hour away from the office, and an hour away from Paris. The "good" news is that we were in meetings and dinners most of the time. I took this photograph early this morning after checking out, and before we left for the office. The remainder of the ground frost was still visible. The only thing I knew about this town was that INSEAD is based here. What I didn't know is that it was the location of the headquarters of NATO until Charles de Gaulle kicked them out, and that Napolean was among the residents of the chateaux. 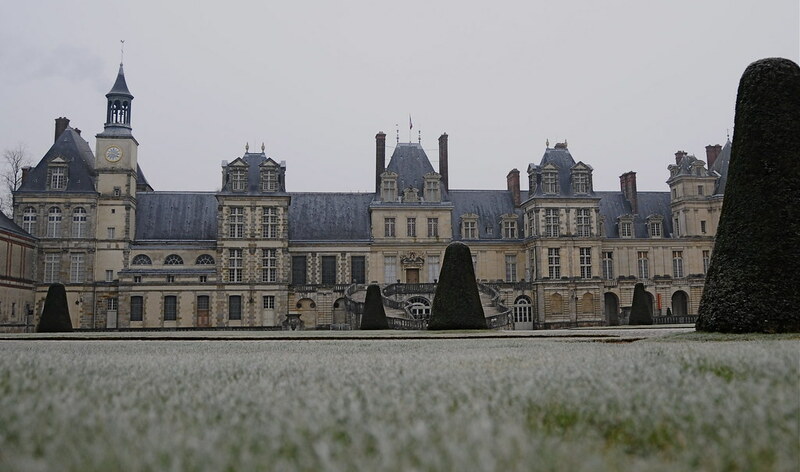 Unfortunately it was too early to see the chateaux, the largest in France, from the inside. The photographs available on the web have made me even more interested. I stayed there once, LOL. We had a little garret room, the cheapest one they had. We felt like little churchmice. You stayed there... wow. LOL @ churchmice.